Kendall claimed the relaxation technique helped her clear her mind and tackle her anxiety while “Big Sam” said it helped him cope with the relegation battle when he was Sunderland Manager. Maharishi Mahesh introduced Transcendental Meditation in 1955 and it was made popular by The Beatles. In a new study brain scans showed during a mediation session the mind was alert but that both mind and body are in a deep state of rest. There was increased activity in the areas of the prefrontal cortex related to attention – indicating alertness. But unlike other meditations, during Transcendental Meditation there was also decreased activity in the areas related to arousal – indicating deep rest. Lead author Dr Michelle Mahone said: “Given the wide variety of meditations that are practised today, it’s important to distinguish among them in order to see the different ways they affect the brain. 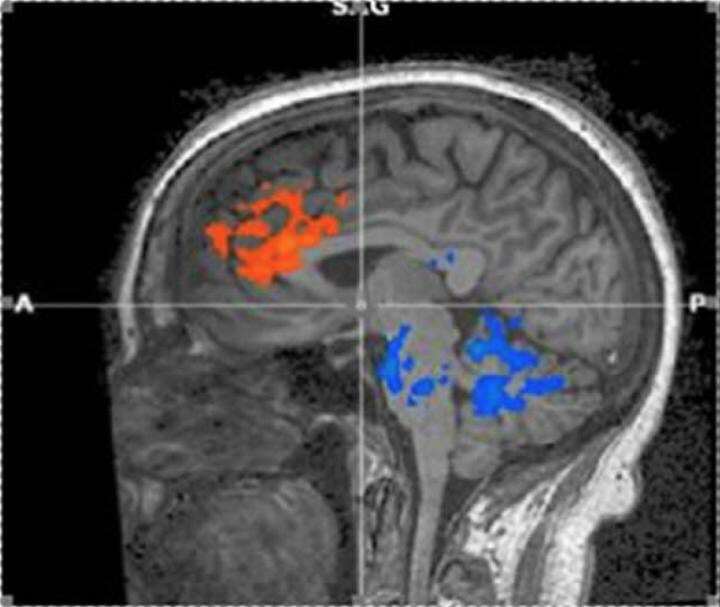 The researchers from Iowa’s Maharishi University of Management used brain-imaging equipment to measure the effects on areas of the brain of the mindfulness practice. It involved 16 volunteers who had all had been using the technique for at least 34 years. They were tested as they sat comfortably for ten minutes with their eyes closed and as the blood flow in their brain was monitored. MRI images show significant areas of activation during Transcendental Meditation compared to resting with eyes closed. Compared to just resting peacefully with their eyes closed, the scans found an increase in blood flow in parts of the brain that deal with decision making, reasoning, working memory, inhibition, and reward anticipation. But unlike other forms of mediation, during Transcendental Meditation there was a decrease in blood flow to the pons and cerebellum. The pons modulates the individual’s overall state of arousal and governs breath and heart rates and a decrease in activity supports the experience during Transcendental Meditation of a deeply silent mind and rested body. The cerebellum modulates the speed and variability of information processing, both related to coordination and motor control and to cognitive functions such as attention and language. The decrease in activity suggests that the body reverts to a more automatic mode without the need of cognitive effort to exert control. Together the decreases in activity suggested an overall reduction in cognitive control and executive processing during Transcendental Meditation – as if the attentional system is at a balance point ready to act when needed. Dr Mahone said: “By using the mind in a specific way, restfulness follows. Study author Dr Fred Travis added: “This reduction in sympathetic activation results from gaining the state of restful alertness during Transcendental Meditation practice. “This restful alertness is the key to Transcendental Meditation – It’s a very different kind of rest than sleep. And this restfully alert state gained during Transcendental was more than a concept. Dr Travis said: “These blood flow patterns give a physiological picture of the reality of restful alertness in the mind and body. “One begins the practice in a simple way, and then it goes automatically, without any analysing or intention. The study was published in the journal Brain and Cognition. Previous PostInjured former army sergeant becomes two time title holder of Britain’s Strongest Disabled Man – and is now running for the world title.